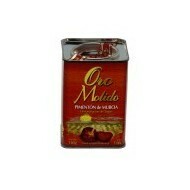 Buy Paprika with OD Murcia, Oro Molido, 3oz. Aprox. Tin. Taste sweet, strong, pungent characteristic odor, bright red color, high coloring, oily and tasty with great color and flavor stability. Product Gourmet Spanish. 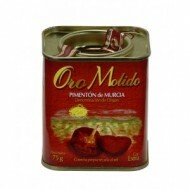 Buy Paprika with OD Murcia, Oro Molido, 6oz. Aprox. Tin. Taste sweet, strong, pungent characteristic odor, bright red color, high coloring, oily and tasty with great color and flavor stability. Product Gourmet Spanish.